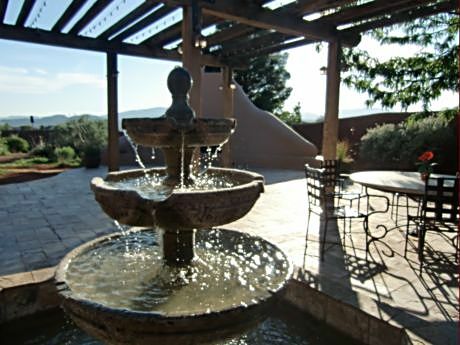 When the itch to push away from the computer and other sedentary work for a few days just won’t go away, think about sipping a glass of wine accompanied by the calming music of a burbling fountain. What goes best with a burbling fountain, a bagel in the morning, chicken caesar salad at lunch or scallops and wine at dinner? 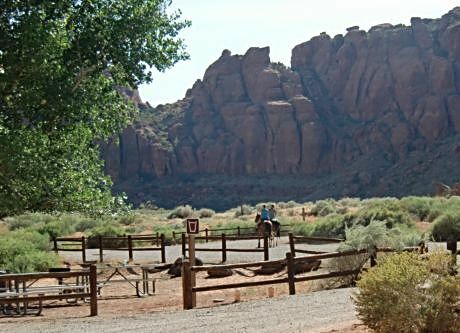 Or imagine trekking through a lava bed over to a state park whose red and white sandstone formations draw bikers, horseback riders and hikers. Either way, relaxing getaways are a specialty of Red Mountain Resort and Spa in Ivins, outside of St. George in Utah. At Red Mountain the formula for kicking back could be a combo of yoga class and a glass of pinot noir or a challenging hike followed by a deep tissue massage. Although flying into St. George is an option, a recent trip there was doable with a flight into the Las Vegas airport and driving two hours through desert and canyon scenery to Ivins. You know the resort takes fitness seriously when a room off the registration desk is devoted to adventures. 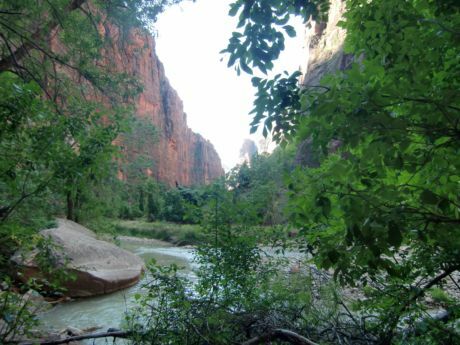 This is where guests sign up for nearby hikes (Red Mountain has a state park day pass for hikers and bikers), rappelling, kayaking or an all day trip over to Zion National Park to seriously hike the park’s Narrows, a trek requiring proper foot-gear and a hiking staff. However, the national park’s towering scenery is a mere 45 minutes away. Just be prepared to continually stop to snap amazing formations. And you haven‘t even arrived yet at the park. Tip: If you go, leave the resort early because the Zion’s parking lot fills, particularly on weekends. Once there, take the park’s free buses. Cars are not allowed past certain points on the main visitors’ route. 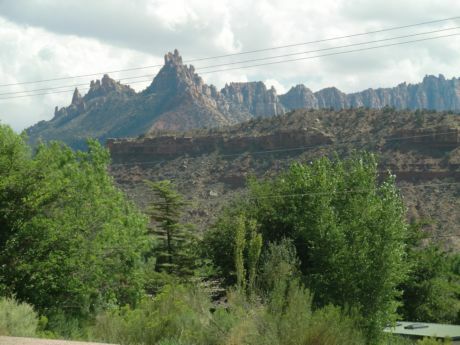 Another car route goes all the way through the park to other canyons but the bus route is a popular way to see the park because it stops at several scenic points and trails. Red Mountain will pack a lunch for guests. The park’s lodge also has refreshments and picnic area. When back at the resort, check a schedule up in the fitness center to see if the movie shown that night in the lounge is an oldie or recent goodie you missed. Also check what classes will be offered the next day. Some are free and others require registration or a fee. On a recent visit, Executive Sous Chef Michael Girardot prepared duck with a yummy pesto sauce during a short cooking demonstration. By the way, the resort is not the end of the trail. 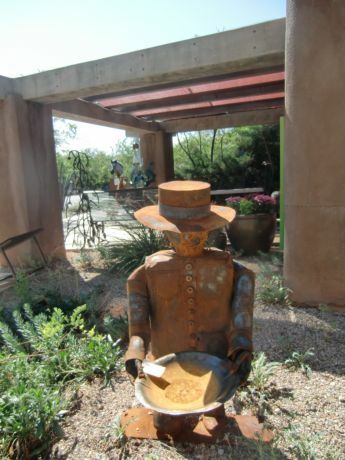 Further up the road are the low, blend into the landscape homes of Ivins’ Kayenta neighborhood. Drive over because this small community is home to the Coyote Gulch Art Colony, a small but choice collection of galleries. As to what to pack, forget the resort’s claim to luxury. Red Mountain is more about southwest casual comfort than Las Vegas marble and glitter.